The First Disney Channel Character to Say "I'm Gay"
Disney Channel made history in a recent episode on the show 'Andi Mack' in which a character becomes the first ever to openly come out. The show first began airing in 2017 and follows the story of a group of young teenagers struggling with the usual challenges of growing up. 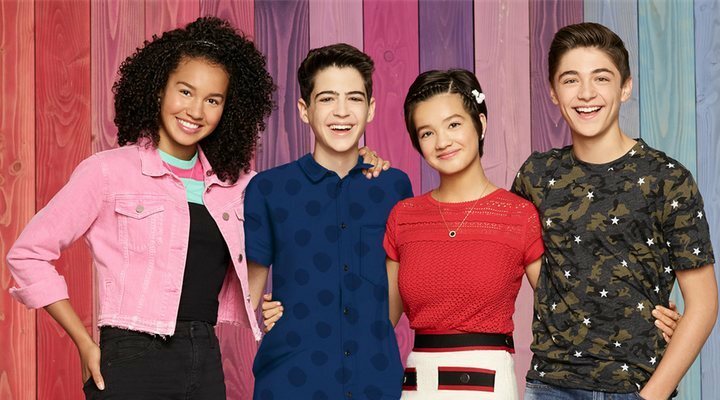 The series has now become the first on the Disney television network to introduce an gay character; the teenager, Cyrus, had previously come out of the closet to his friends, but the words "I'm gay" were never spoken until this recent episode titled 'One in a Minyan'. Actor Josh Rush tweeted a clip of the newly iconic scene, declaring how proud he was to have been a part of this historic moment. The scene is based on the coming-out experience of Jon Hurwitz, who wrote the screenplay for this episode. Cyrus is explaining the various different traditional dishes at his Grandmother's shiva ritual when he suddenly declares that he is gay, replicating Hurwitz's own experience at university. In a post on GLAAD the producer and writer wrote: "While grabbing burgers one afternoon, [my college friend] asked me to pass the ketchup, so I handed him the bottle while mumbling the words 'I'm gay.' He looked up at me, said 'Cool,' then proceeded to put ketchup on his burger as if I hadn't just revealed my most personal, deepest truth." He continued, saying, "as someone who's Jewish, has dealt with long-term anxiety, and has come out to his friends and family, I had a very personal stake in this one." As well as giving positive visibility to the LGBTQ+ community, this episode also comically deals with the Jewish shiva ritual, thus making it an even more important moment for the positive portrayal of religion and homosexuality.